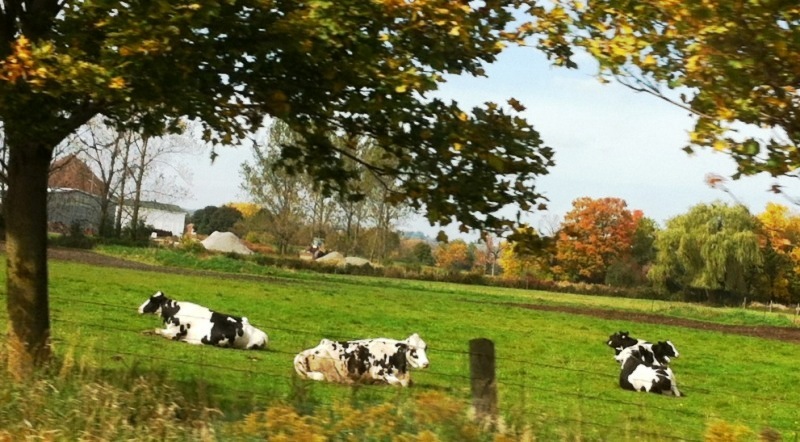 These lazing cows taking a break from whatever they were doing before they were taking a break — grazing? — so reminded me of Oreos. The favorite cookie of my youth. The Canadian formula doesn’t taste the same. Sorry, Canada! Anyway. Discovered lazing close to the road — Oreos! Okay. Cows. But they look like Oreos.